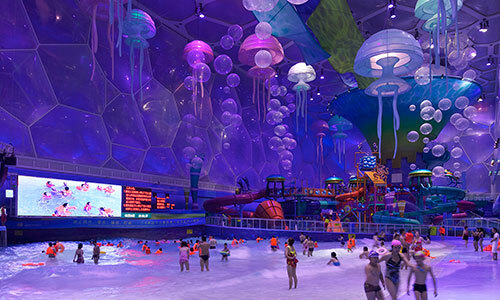 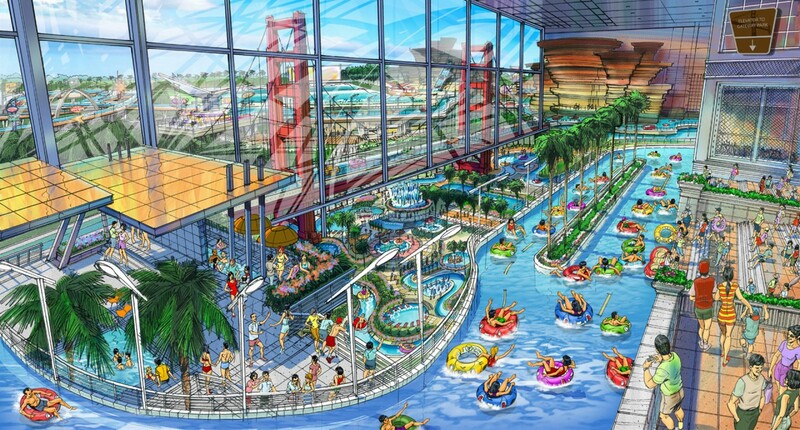 With a mission to design an unforgettable, entirely unique water park, FORREC’s creativity went into overdrive. 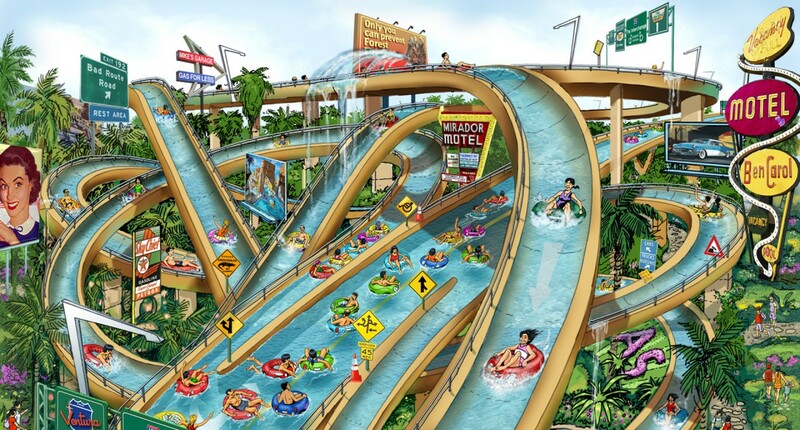 Imagine travelling along all-water freeways in the driver’s seat of a floating inflatable car to some of America’s most famous road trip destinations. 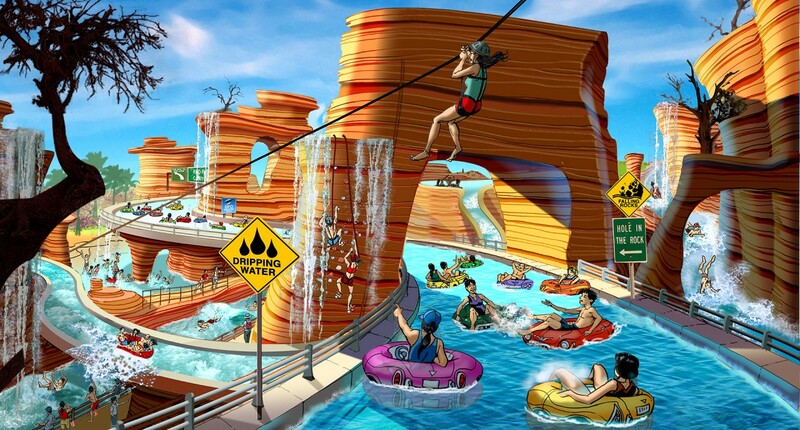 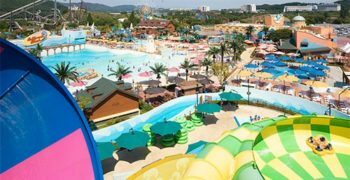 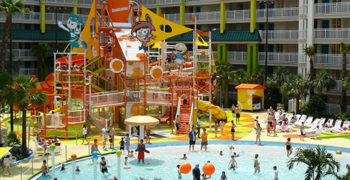 From a Bel-Air drive-by to a Painted Canyon adventure, this water park puts guests in the fast lane to fun. 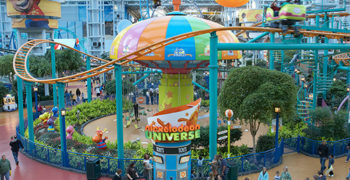 FORREC even turned things upside down by starting all water rides from a common main deck at the top and letting guests choose their route down. 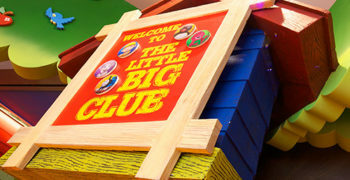 The road trip theme combined classic retro features with futuristic fantasy to create roadside attractions that would send guests on thrilling side trips. 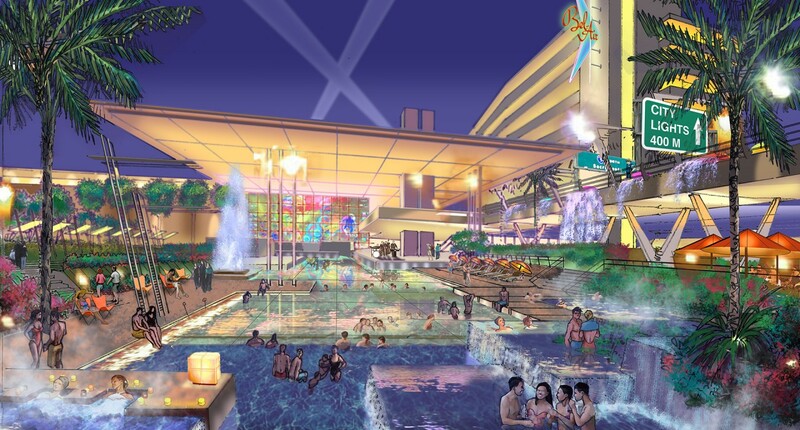 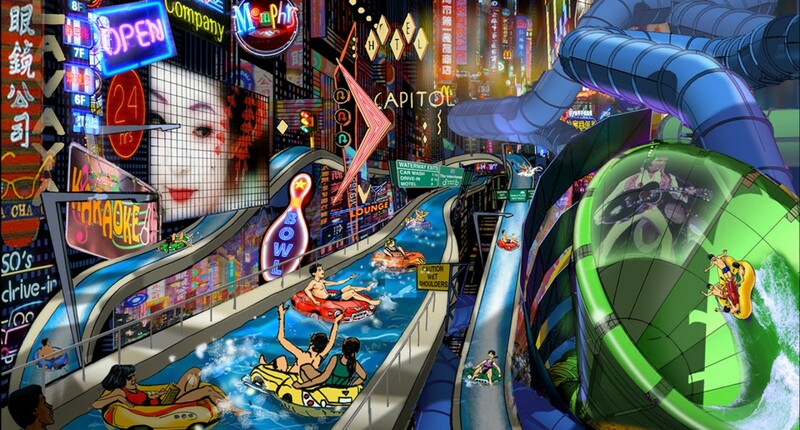 Along the way, billboards and road signs direct travellers to food, entertainment, retail and rest stops that become spa pools or water play.